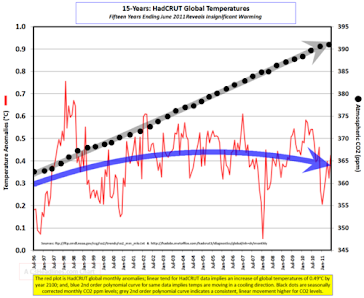 Climate Common Sense: Aussies Desert Global Warming Scam - Believers Now a Minority! 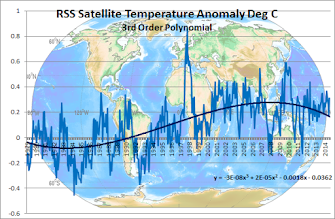 Aussies Desert Global Warming Scam - Believers Now a Minority! The latest poll Essential Report poll shows that only 45% of Aussies now believe in man-made Global Warming. Australians have been less skeptical in the past than the US and other countries with a largely pro AGW media pushing the Warmist line . It seems that is now changing and they are now much more doubtful about so-called man-made warming according to the latest poll. Respondents were asked: . Do you agree that there is fairly conclusive evidence that climate change is happening and caused by human activity or do you believe that the evidence is still not in and we may just be witnessing a normal fluctuation in the Earth’s climate which happens from time to time? 45% believe that climate change is happening and is caused by human activity (down 8% since last surveyed in Nov 2009), 36% think we are just witnessing a normal fluctuation in the Earth’s climate (up 2%) and 19% don’t know (up 6%). Those most likely to think climate change is happening and is caused by human activity were Greens voters (76%), Labor voters (53%), women (49%) and aged 18-35 (50%). Those most likely to think it is a normal fluctuation in the Earth’s climate were Liberal/National voters (53%), aged 55+ (47%) and men (40%). The number of believers has slipped from 53% to 45% in the last year which is going to make Gillard's carbon tax a very tough proposition. Question: Do you want your federal M.P. to vote in favour of a carbon tax? Do you support Kevin Rudd's ETS proposal? Do you support the measures expected to be in Julia Gillard's climate change policy? What do you think of Julia Gillard's 'consensus-building' approach to emissions-trading policy?